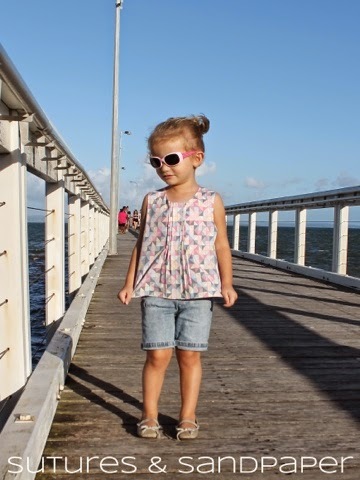 This top is a loose fitting summery A-line top with a few fun features including front pleats, keyhole back opening and high-low hem. This top is one of those ideas that came to me just as I was about to go to sleep and then I lay there thinking up all the different variations I could make with it. I really wanted a basic summery top with lots of room for adding changes. 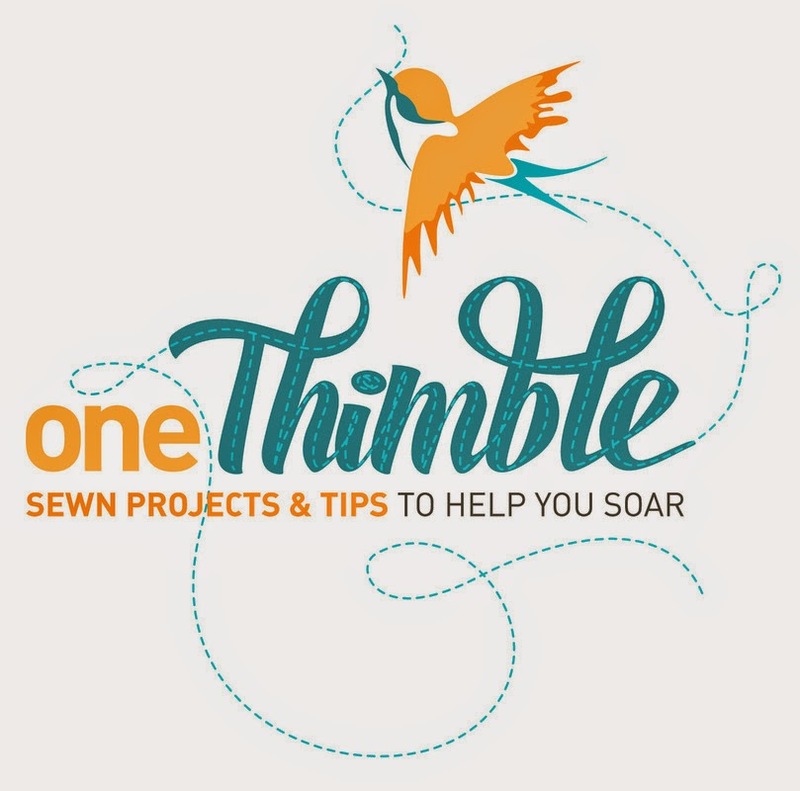 I will start off explaining one option and then hopefully pop back and link up more posts with ways of varying the top using the same pattern pieces. If I get all clever or decide to pay someone to grade it for me so it has other sizes, then I'll pop back and update that too (or if any of my designer friends want to make it into a real pattern?? that would be great too). 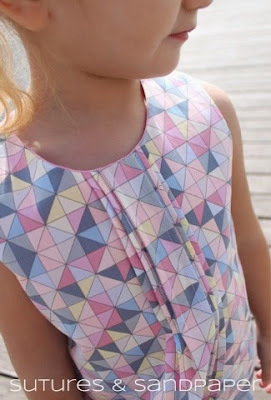 So we will start with the high-low hem option with keyhole back closure. 1. 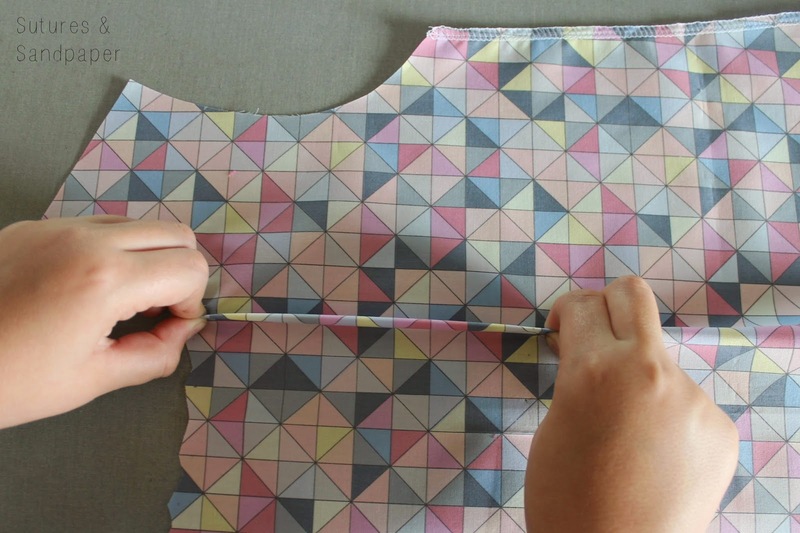 Make your pattern pieces. 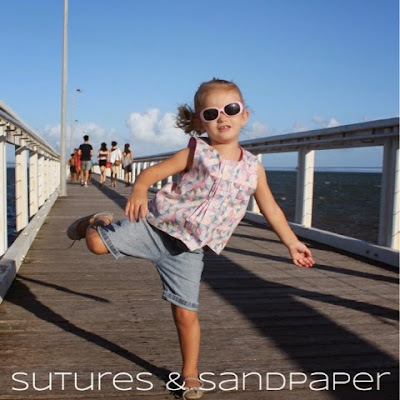 Click HERE to download PDF of pattern pieces. They are hand drawn as I lack the technology to make them on the computer. Print them out "actual size" not fit to page or with any scaling. There are 8 pages. The first three go together to make the front piece and then next three go together to make the back piece. The front lining and back lining are on separate pages. There is a 2.5cm (1") test square which should measure spot on when it is printed out correctly. 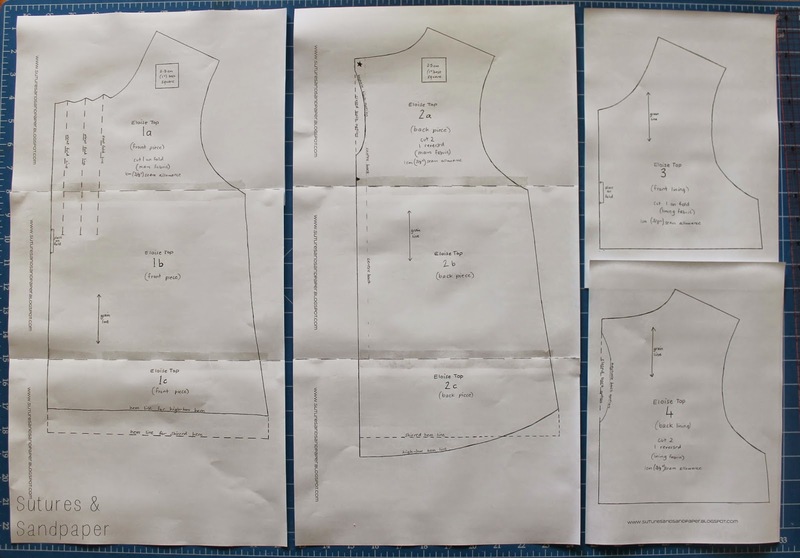 You should end up with one front piece, two back pieces (mirror images of each other), one front lining piece and two back lining pieces (mirror images). The front pleats need to be marked. I do it by poking a pin through the pattern piece at the top and bottom to make a tiny hole, and then drawing a dot with my fabric marker at those points. I don't draw the whole line. I just mark the top and bottom, but feel free to do it however works for you. Mark the little star at the top of the back (elastic loop marking). The other mark is on the back piece. 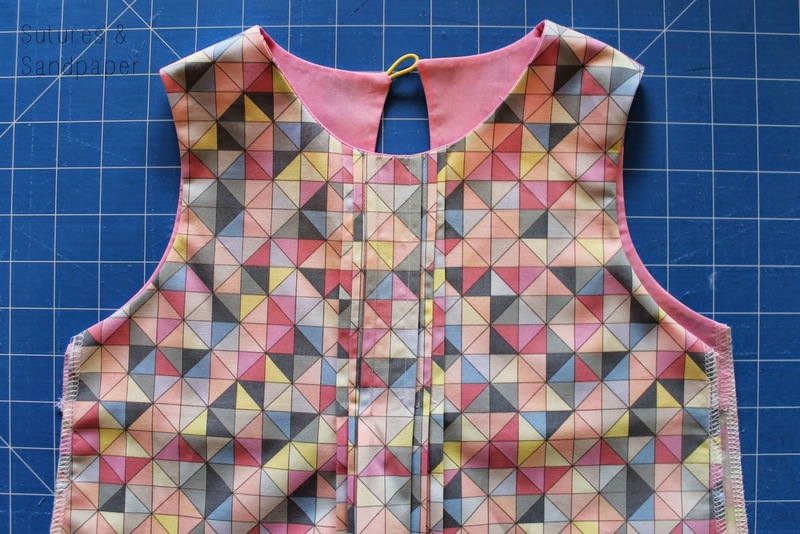 It marks where sewing starts and finishes when sewing the neckline. The following edges should be finished with your preferred finishing technique. 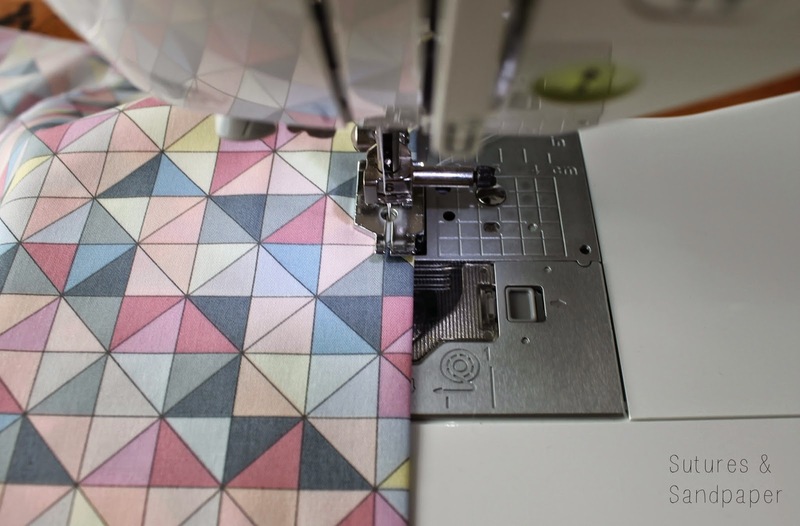 I use my overlocker but you can use a zigzag stitch or overcasting stitch on your sewing machine if you like. 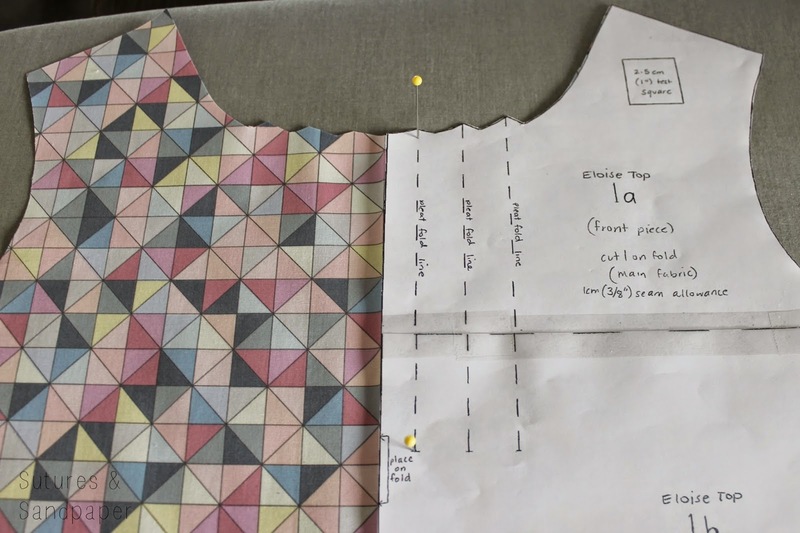 Once the first line is stitched iron it away from the centre and fold the next one and iron it and repeat the process until all of your pleats are sewn. I find now is a good time to stop and look at how pretty it is going to look and congratulate yourself with a little sip of your favourite beverage (I'm a bit of a diet coke addict and can't function without a cold one beside me). Now if you are allergic to pleats... you could chose to gather this part instead...but try the pleats, they are easy and very, very cute! The rest is very much like any bodice construction you have ever done so, if you are confident ignore the rest of my ramblings and construct it your own way. 6. 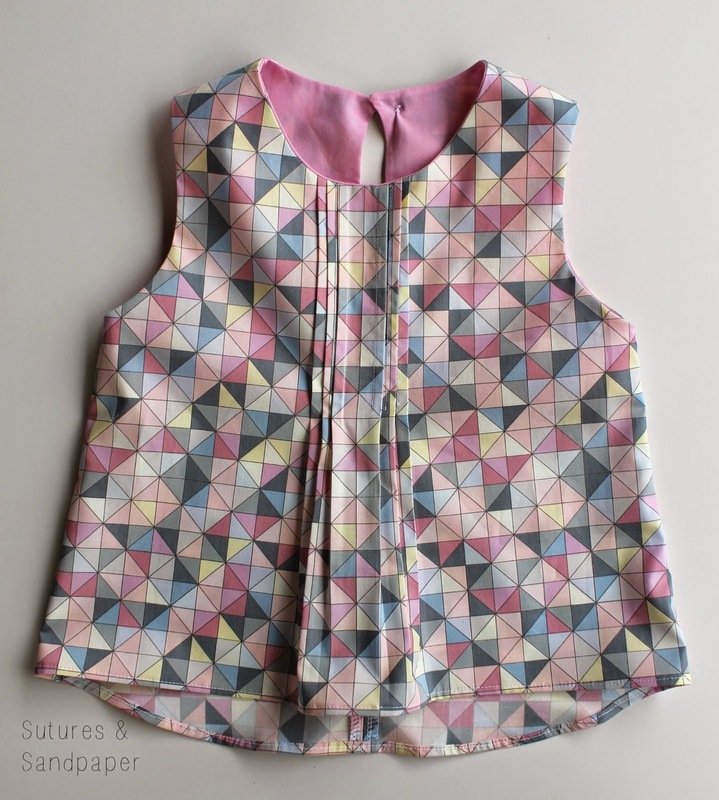 Sew the shoulder seams. 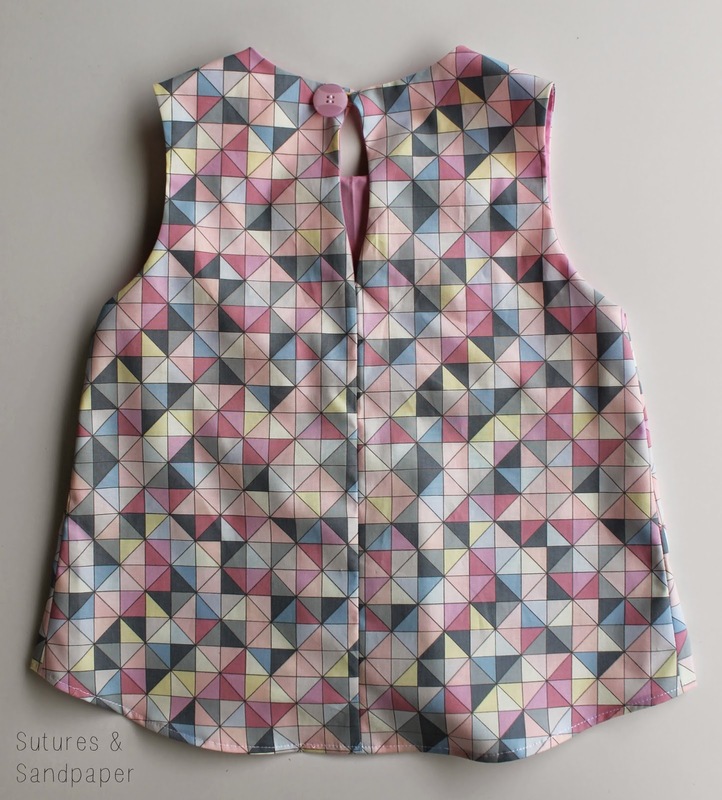 Place with right sides facing (make sure the back seam is in the middle), pin and sew using a 1cm (3/8" seam allowance). 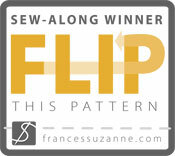 Repeat for the lining fabric. Iron the seams open. Pin a little loop of hat elastic into the seam at the point marked with a star. Stitch it in place. Place your outer pieces on your table with right side facing up. Then align the lining pieces right side facing down on top as shown. 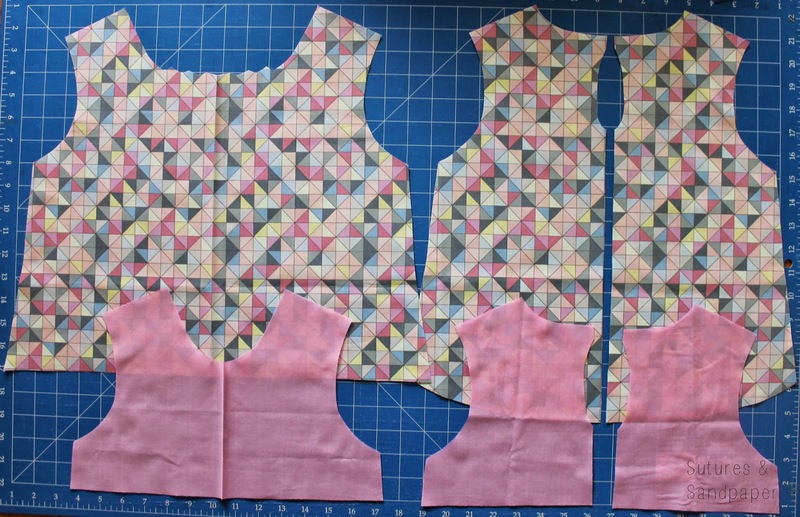 Pin them together at the arm openings and around the neckline stopping at the centre back mark. 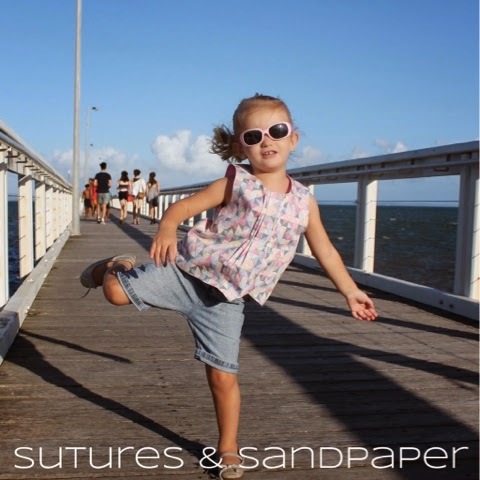 Sew these seams with a 1cm (3/8" seam allowance). 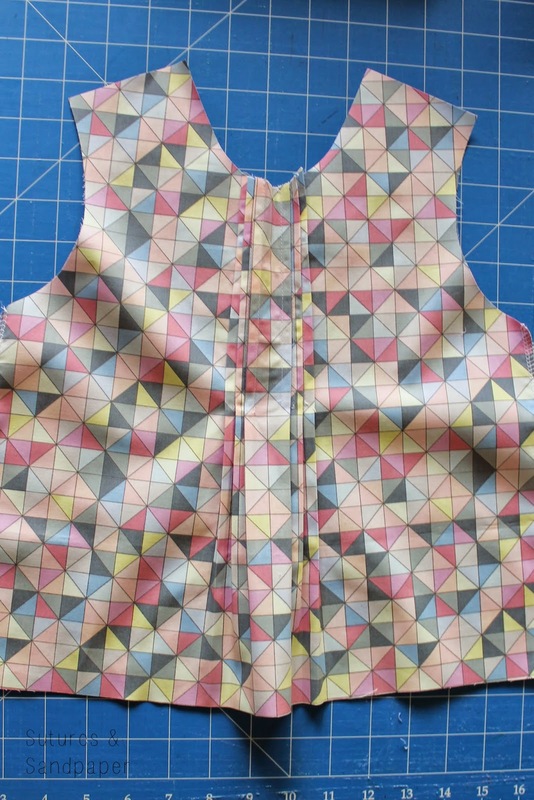 Once sewn, clip all of the curves. I use pinking shears to do this really quickly but if you don't have any you can just clip them as you normally do. Then turn the whole thing to be out the right way and iron the seams flat. 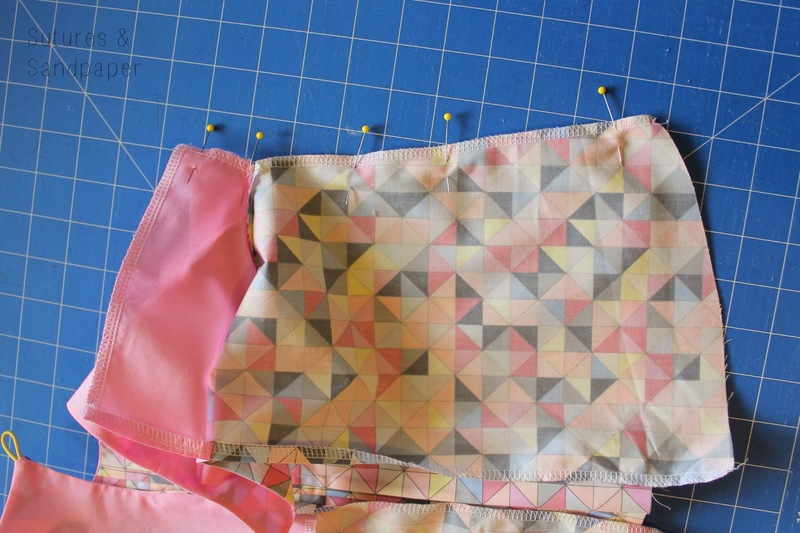 Line up the lining pieces with right sides facing and the outer fabric pieces with right sides facing. 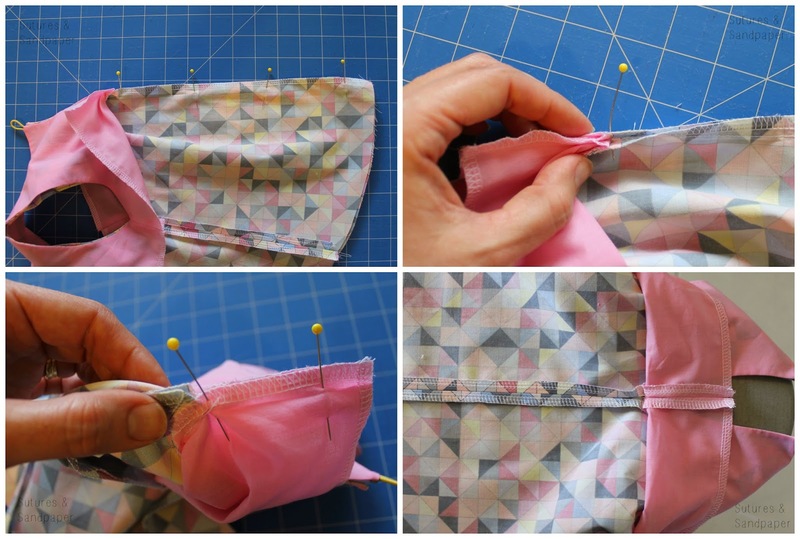 Make sure the middle seam is neatly aligned and then the rest should be too. Pin this and sew it with a 1cm (3/8") seam allowance. Press this seam open and repeat on the other side. 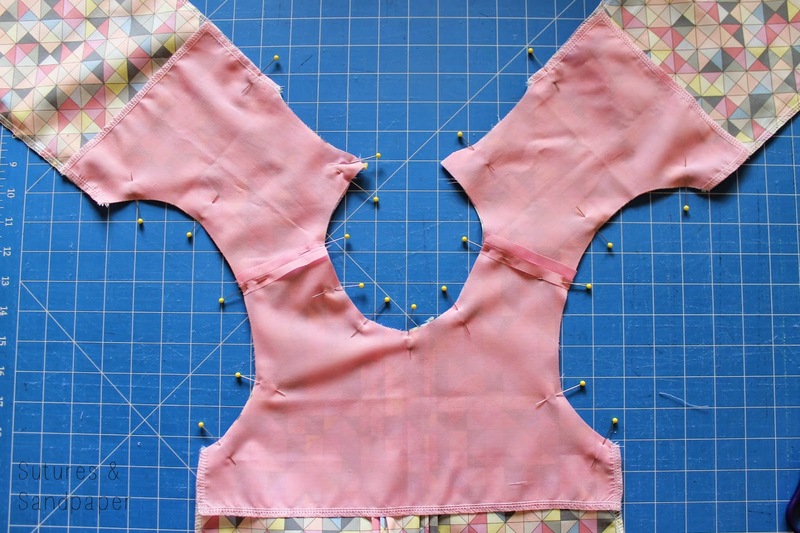 To sew the back seam, pin the outer fabric with right sides facing, right up to the point of the neck line stitching, then sew with a 1cm (3/8") seam allowance. Then line up the lining fabric with right sides facing and sew up to the point of the neck line stitching. Iron these seams open. 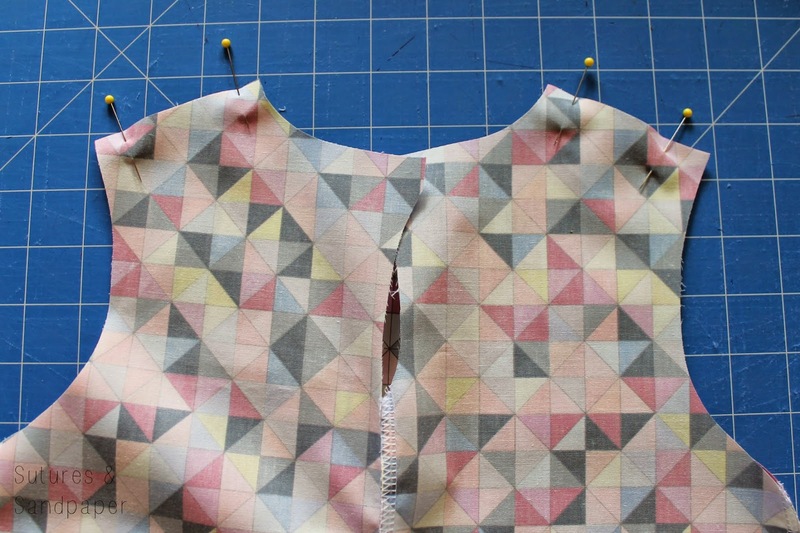 Once this is sewn, it is a good idea to tack down the lining. You can do this by hand or machine stitch a few stitches in the ditch of the side seam. It will stop your lining moving around. If you are a fan of topstitching now would be a good time to topstitch around the neckline and keyhole and even the armscyes. I like a narrow hem line despite the risk of burning my fingerprints off. 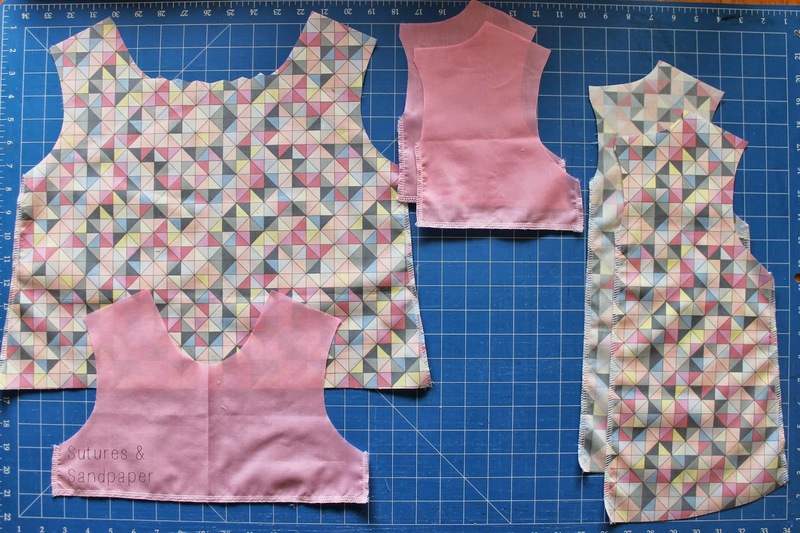 For this, fold over 6mm (1/4") then about 6mm (1/4") again press and sew. 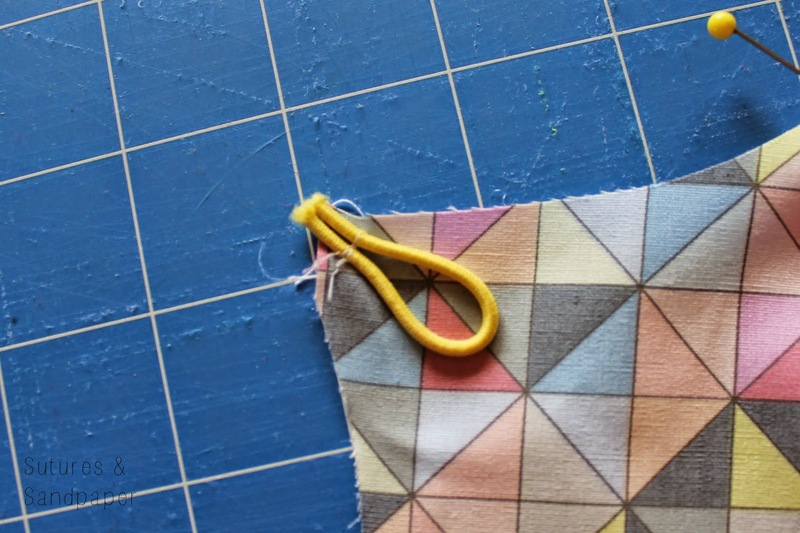 If you prefer to keep your finger prints intact you may chose to hem using bias tape. Last but not least, attach your button at the star marking on the side without the elastic loop. And... finish your beverage while patting yourself on the back and then try it on your little miss. Then PLEASE take some pics and either share them on our facebook page or tag me in your pic or link up your own blog post in the comments here so I can see. 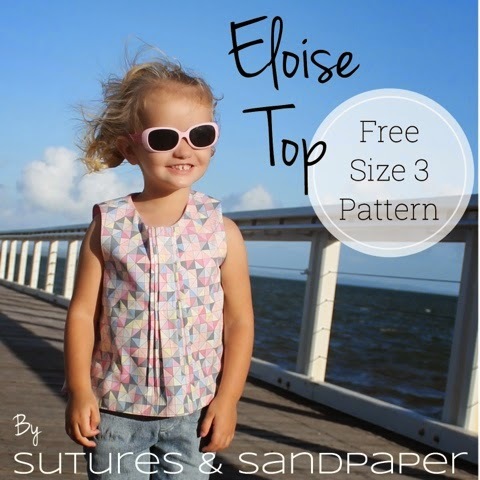 Visit this post for a few pics of my miss E and some of my best sewing friends little misses in their Eloise Pleated Tops. Huge thanks to them for risking their time and fabric on my first little pattern and for their valuable feedback! If you love it or hate it or have troubles with it please feel free to comment here or message me on facebook. As I said I'm not a designer so there may be errors and I'm happy to hear about them and change what I can. I cannot guarantee I will respond straight away, as I have a job and three little kidlets to keep me hopping all day everyday but I will try to respond. 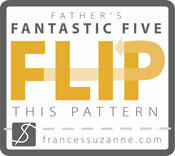 Just found this pattern! My daughter is on the big side for it but is very narrow. Might give it a try with some added length!